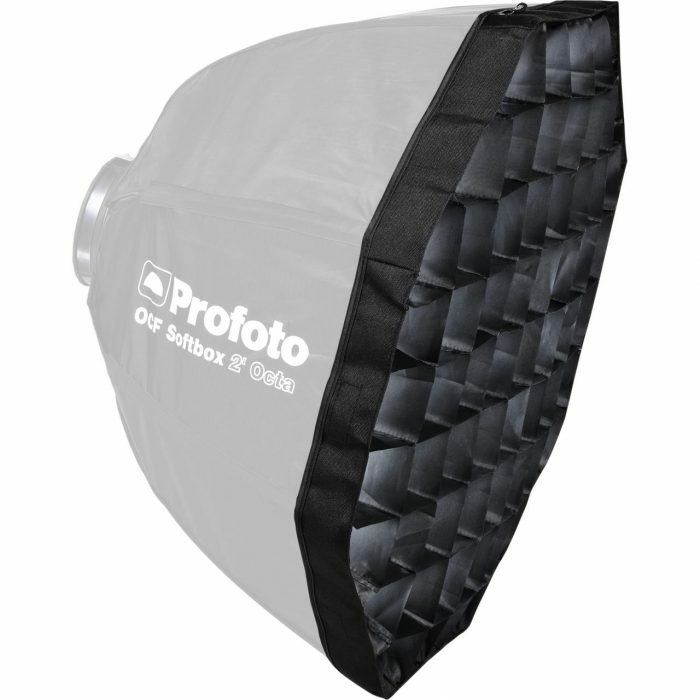 Profoto Off Camera Flash Softboxes are softboxes tailor-made for fast and easy on-location photography. Like any other softbox, Profoto Off Camera Flash Softboxes create a soft and flattering light. 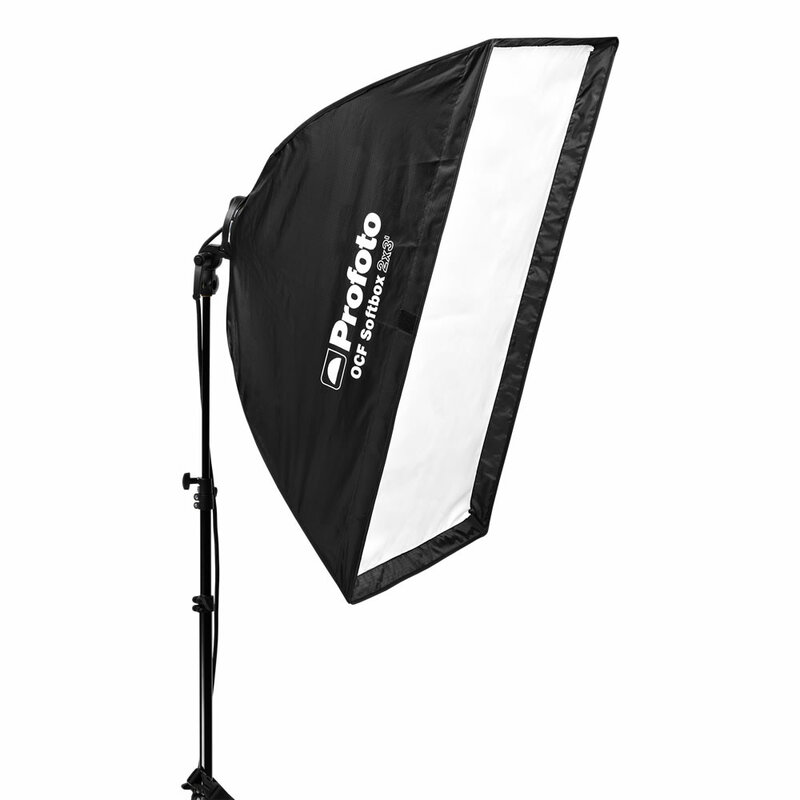 But unlike any other softbox, they are made in a unique material that is both lightweight and easy to fold and unfold. 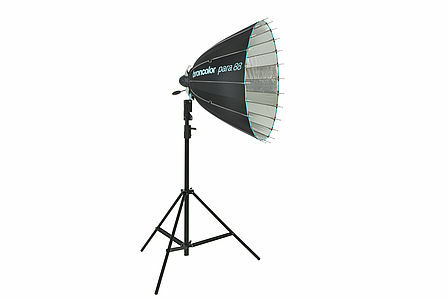 Add to that the fixed diffuser, the patent-pending speedring and the colour-coded rods. Put all that together, and you have a softbox that is faster and easier to set up than any other on the market. 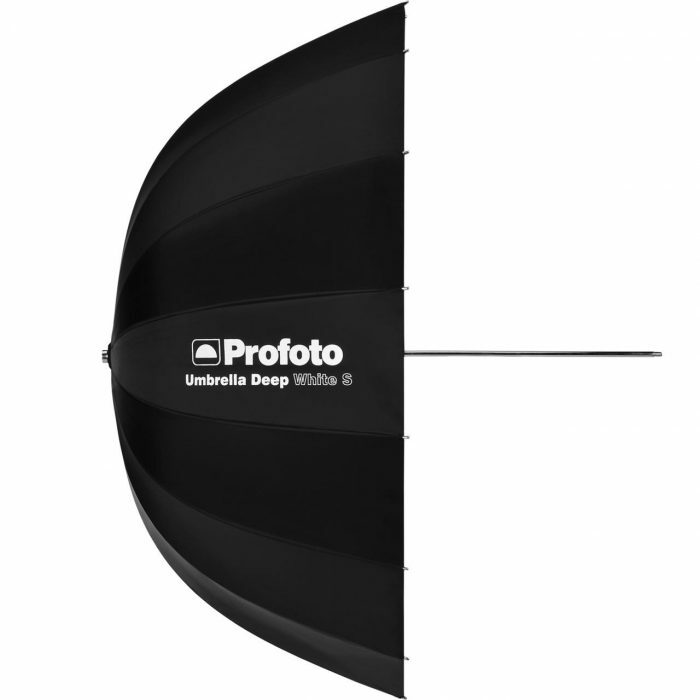 There are four Profoto Off Camera Flash Softboxes to choose from, each with a unique size and shape: strip, square, rectangular and octagonal. 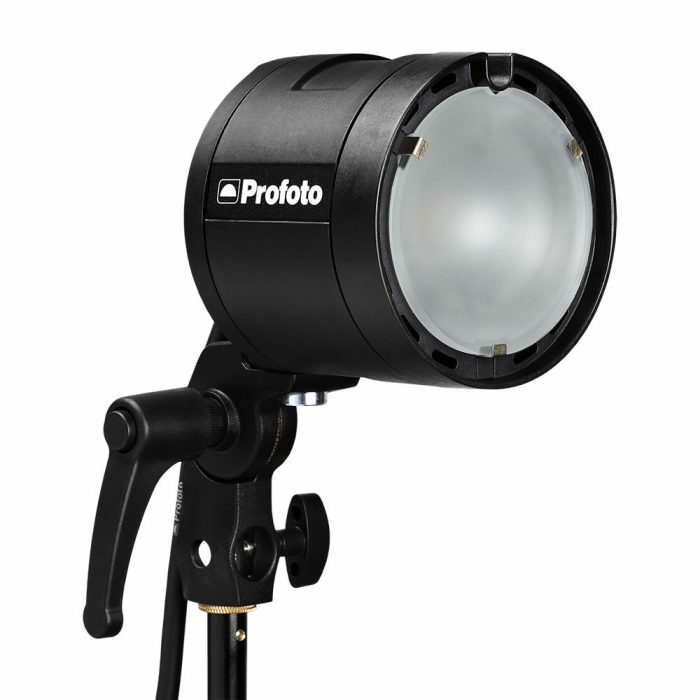 All four can be equipped with a Softgrid for even more precise light shaping. Colour-coded rods and fixed diffusers for fast and easy setup. 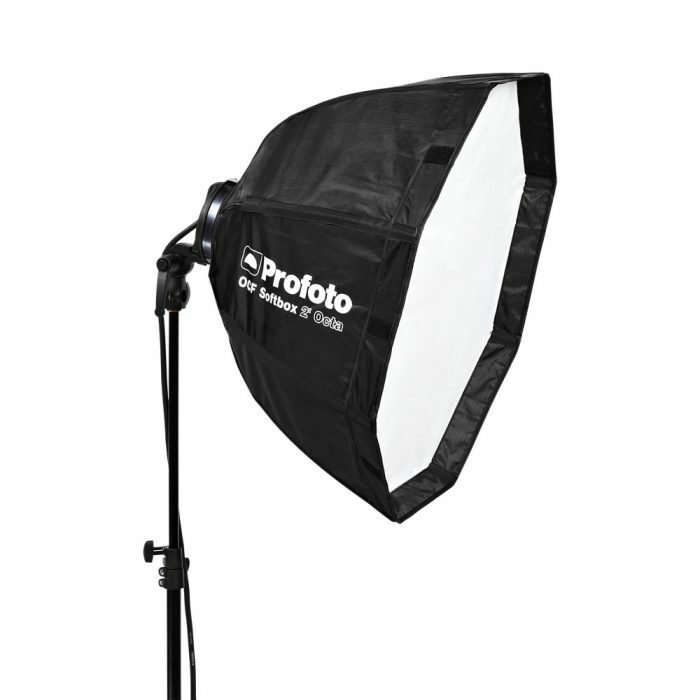 A slightly larger OCF Softbox that can be used to illuminate a full body shot or a group portrait. 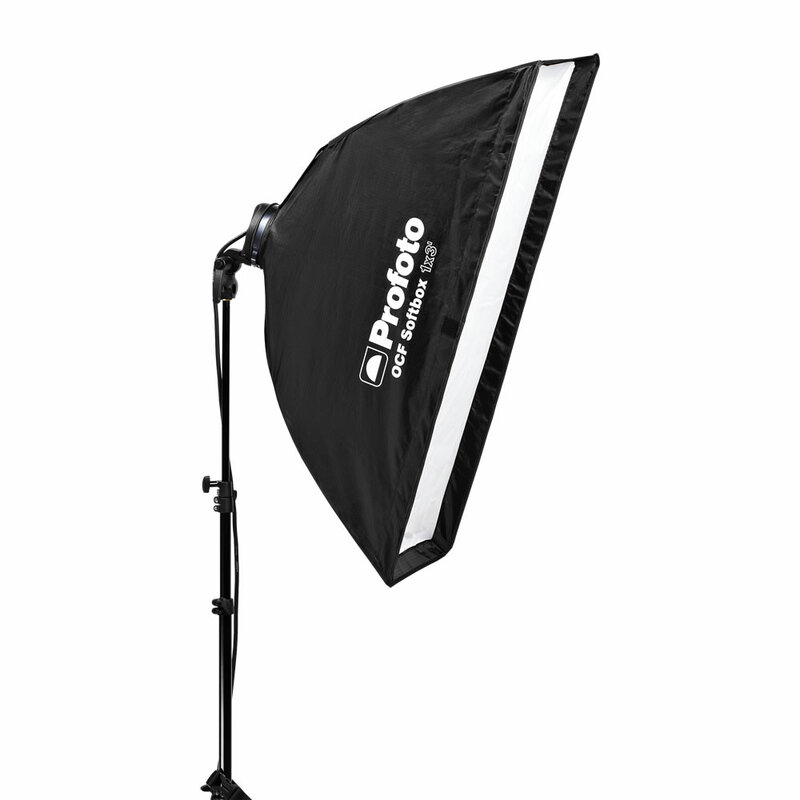 The perfect rim lights. 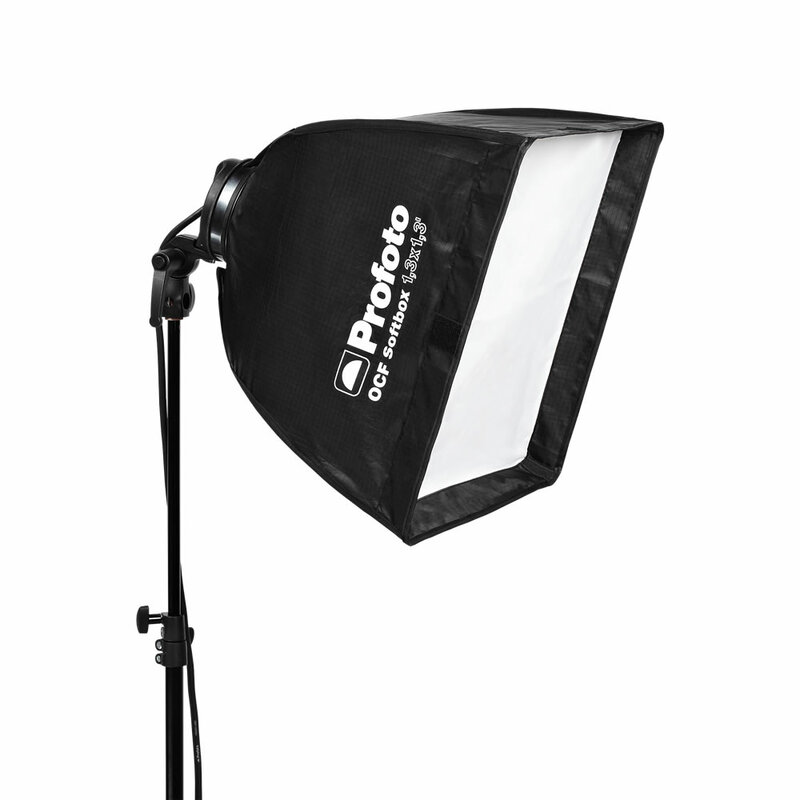 Can also be used to create long and perfectly even highlights with soft edges.